Criminal Defense - William L. Balduf, Esq. Felonies, misdemeanors, violations, drug or weapons charges. Being convicted of any of these charges could change your entire life. In addition to possible jail time, there are lifetime ramifications of a criminal conviction. The ability to get or keep a job, carry certain types of firearms, and hold certain types of professional licenses are all dependent upon your criminal history. I’m proud to have had extensive experience in representing juvenile delinquent matters. If your child was arrested for ANY offense, it is imperative that you take immediate action by contacting me right away. 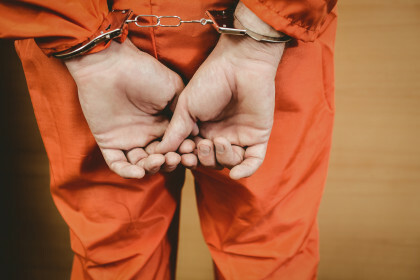 Parole is a privilege, not a right- and if you are in violation of your probationary terms, you could be facing additional criminal charges, jail time and fines. I will fight to maintain your freedom. Call me immediately. The decisions made in your criminal matter now will matter the rest of your life. Make sure you call someone with the EXPERIENCE to advise you properly and protect your rights. If you have been charged with a crime, you need someone on YOUR side. Consultations are free. 315-474-5533. Click here to learn more about our Family Defense Services click here. Serving New York in Onondaga, Oswego, Madison, and Cayuga Counties.